Get the latest news, straight from the bear's mouth. It's supposed to be Spring but we certainly still have snow on the ground here and ice on the lakes here in Chetek. Check out the Live Feed button on this page to see what we see from the marina. We also have a weather app right at the bottom of this page that lists the current weather conditions. 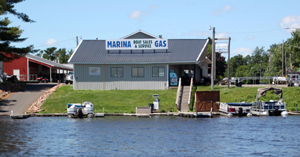 While it may still be chilly outdoors, we are getting boats, pontoons, docks and other products ready here at the marina. Any guesses on when the ice will be out on Lake Chetek? Enter our Ice-Out Contest here on our website. Submit your best guesstimate through March 31. Winner of the Ice Out contest will receive a free one-day pontoon rental (Value $150, excludes gas/oil for the day). We are working on our Spring newsletter. It should launch in the next few weeks. Wait - you don't get our newsletter? You aren't on our subscriber list? Well, there's a remedy for that: please go to the Contact Us link right here on our website and send us an email. Check that box so we can add your email to our subscriber list. You can also read our latest newsletters right here on our website. For timely updates, be sure to check out our Facebook page. We'll be posting as new products arrive. We have grown this year to 516 likes and 522 followers!! Hurray! Please share our page with your friends and help us get closer to reaching more people. We love your support! A quick reminder that if you need to have your lawnmower, weed whip, edger, and blower tuned up for the summer, give Mike a call at Lake Country Small Engine Repair. He can get summer lawn equipment ready to go for you. He's also taking in winter equipment to repair and ready for storage over the summer. Click on Lake Country Small Engine Repair on our website or give him a call at 715.736.7120. He has a Facebook page, too! For those who have yet to meet me, I'm the marina mascot. We had a "Name the Bear" contest at the Open House a few years ago. One of our customers chose the name "Marina Marv" for me. Not only is it a nice alliteration, but it's a special name. Jim's Grandpa Marv owned the marina for decades. So, it makes everyone who knew Grandpa Marv smile when they hear my name. 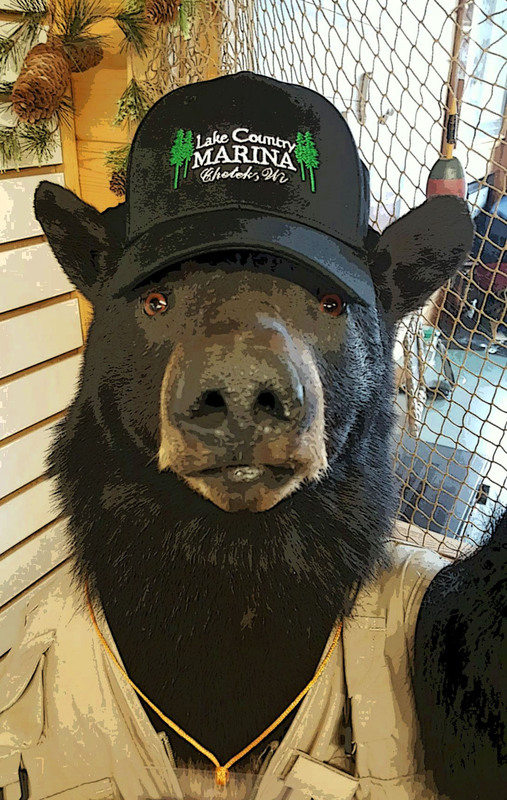 Stop by, say hello to the marina crew and snap a photo with me. If you post it on social media, remember to tag me as #MarinaMarv! Monday - Friday 9:00 a.m. - 4 p.m.